AUSTIN - History. No word is more suitable to describe Morris Williams Golf Course. Located just east of Austin, the 6,636-yard course opened on April 18, 1964 and is without question one of Austin's oldest courses. It was named after the late Morris Williams Jr., who died in a plane crash in Florida during the Korean War. Williams was to Austin golf back then what Tiger Woods is to all of golf today. According to most, Williams was Austin's most accomplished amateur golfer before his life was tragically cut short. A portrait that hangs in the clubhouse confirms that and identifies Williams as someone who won every trophy available to him from the Austin and Texas Junior Championship to the National Air Force trophy, which is now named in his honor. Interestingly and not coincidentally, the younger Williams was introduced to the game by his father, Morris Williams Sr. who was also a golfing aficionado. However, the elder Williams was not recognized for what he did with a club, but with a pen. His portrait, which hangs besides his son's, says he was the dean of golf writers in the Southwest. It says he brought distinction to Austin for his thorough coverage of the game and its players, which included 32 years as a writer for the Austin American-Statesman. Both would be proud of the course today. Despite being more than 37 years old, the course is quite modern in its design and is both challenging and forgiving at the same time. This is due in large part to the course designer, the legendary Leon Howard. Howard, who is one of the more well-respected and established course designers in the country with 152 courses to his credit, had to design the Morris Williams layout with one major obstacle - the airport. Austin's Robert Mueller Airport was located due west of the course property and the flight path was directly over the course. Because of the airport location and in particular the location of the landing lights on the planned golf course layout, he had to design the holes around the strip of landing lights. "The Federal Aviation Administration required us to go around the lights (and prevent potential golf balls from hitting aircraft overhead). To do that, I had one hole finish on one side of the lights, then another hole began on the other side." Although Robert Mueller closed in 1999 and moved to its new location, Austin Bergstrom-International, the old airport and landing strip remain, as do the landing lights. This is first evident between hole Nos. 2 and 3. Following the par-5, 540-yard No. 2, the most difficult hole on the course, you walk or ride through the cleared land that includes the landing lights placed at specific intervals. Following No. 2 is one of the more challenging and scenic holes on the course. One challenge in the par-3 third hole is in its distance of 187 yards from the back tees. An additional challenge and the main concern as well as the scenic part come in the form of a small pond that must be cleared from the elevated tee, which is located approximately 50 feet higher. Howard's creativity in avoiding the flight path is also apparent near the completion of your round as hole Nos. 15 through 17 all begin or end near the strip of land and lights. While avoiding the lights was a big consideration in designing the course, availability of wooded areas was another. Howard said because there were only a couple of areas with trees he tried to incorporate the trees in to the design of the holes whenever possible while at the same time trying to avoid the unnecessary removal of any trees. However, in one case, on hole No. 7, there was no way around it and a strip of trees was removed. "That was a difficult decision but there was no other option" he said. Another area of trees creatively incorporated in to the design is on the signature hole No. 13. This par 4 of 336 yards is a hard dogleg-left that features trees and a small creek along the right side and trees and a small pond up on a hill to the left. A large tree sits on the left side of the fairway at the bend. Whatever you do on this hole, don't try and cut the corner. That temptation is exactly what Howard had in mind when he created the hole. Hit a mid- to low-iron and try to get out with par. Besides the obvious out of bounds on several holes on the perimeter of the course, water is the main hazard and is a factor on a few holes such as No. 13. "I love water," Howard said. "It's challenging and it adds to the beauty of the course." In the original design, Howard didn't include any sand bunkers. Only a few on the course have been added since its opening. With its long existence and solid layout, Morris Williams has played host to numerous tournaments through the years including two of the more prestigious collegiate tournaments in the country including the Morris Williams Intercollegiate Tournament in the Spring and the Harvey Penick Intercollegiate in the Fall. The Morris Williams Intercollegiate, which is no longer played on the course, has seen its share of PGA Tour players including recent St. Jude Classic winner Bob Estes, as well as Colin Montgomerie, Justin Leonard, Ben Crenshaw, Tom Kite, Mark Brooks and many others. George Hannon, University of Texas golf coach from 1963 through 1981 and head professional at Morris Williams from opening day until 1994, founded the collegiate tournaments. He said since that time, almost every college player that has turned pro since 1964 has played at Morris Williams. 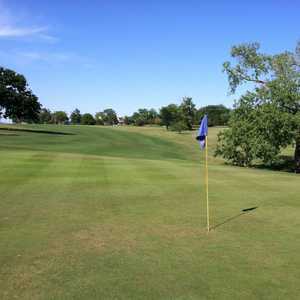 The course has also hosted the boys and girls state high school tournaments and the Austin city championship. When not hosting tournaments, the course plays hosts to a stunning 63,000 rounds per year. 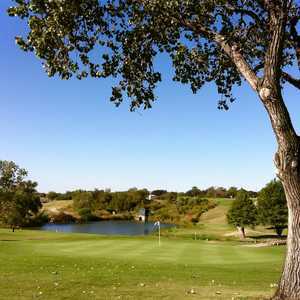 Green Fees: $24.50 with cart weekdays; $26 weekends and holidays. Amenities: Putting green and driving range. Directions: From Austin, take IH-35 north to Manor Road. Go east on Manor Road past the old airport entrance and Morris Williams is on the right about a half mile.